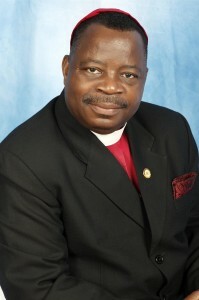 The call of God on the life of Bishop Joseph A. Alexander was evident even in his early years. In 1973, he left his home country to serve as a Traveling Evangelist with Operation Mobilization (OM), Send The Light Trust to Europe. With OM, his ministry extended to Turkey, Iran, Afghanistan, Kuwait, Pakistan, and India. Upon the completion of his term with this missionary organization, the Lord led him to complete his studies in the United States. While a student, Joseph continued in his ministry of evangelism and missions support by serving in various churches and offering support to the Pastors on the issue of mission sponsorship and building a mission-minded church. Then, in 1982, the Lord made it clear that the work of New Covenant was to be started, specifically to build the life of many and to send the gospel to the ends of the earth. So, the church was started in the living room of his house and later in November of that same year it moved to the basement of a nearby church where it was fully established. Since then, the Lord has counted him as a faithful servant and has therefore opened many doors to expand His work to the nations. Now in New York City, there are several major congregations, a thriving church in Florida, and many other assemblies are being developed around the country. Internationally, the work has spread to the continent of Africa and six (6) countries including India and the Caribbean with affiliate churches in more than eleven (11) other countries of the world. Archbishop is a loving husband to the Queen of his life and devoted partner in ministry- Mardette, a devoted father of Enobong, Rachel, Samuel, Faith and late Imaobong and a joyous grandfather of Jocelyn, Isaiah, Simone, and Jasmine.